Tell the truth. Or face the consequences. Clue meets Riverdale in this page-turning thriller that exposes the lies five teens tell about a deadly night one year ago. One year ago, there was a party. At the party, someone died. Five teens each played a part and up until now, no one has told the truth.But tonight, the five survivors arrive at an isolated mansion in the hills, expecting to compete in a contest with a $50,000 grand prize. Of course…some things are too good to be true. They were each so desperate for the prize, they didn’t question the odd, rather exclusive invitation until it was too late.Now, they realize they’ve been lured together by a person bent on revenge, a person who will stop at nothing to uncover what actually happened on that deadly night, one year ago. Five arrived, but not all can leave. Will the truth set them free? Or will their lies destroy them all? First off, let me admit to apprehension when beginning this book. I’m not a huge fan of changing POV chapters and have struggled lately with contemporary fiction. My intrigue was caught upon the prologue then drifted a bit for the first introductory chapters. Suddenly – “Tell the truth. Or face the consequences” and hello no sleep. I binge read to my heart’s content up until the very last page. I was in a game of Clue and I wanted to know who did it; who was lying. Meet the suspects: Ruby, Gavin, Brett, Parker, and Juniper. Each character has a role to play in a murder that happened a year ago. One lie – two lies – three lies – four lies, I’m sure you get where I’m going with this. Looking beneath their cliched high school personas – from the brain to the jock to the beauty, the real beneath each of them is so raw, so true. The connection is established, old friendships and rivals taunted to the surface, and the game comes into play with a murder mystery dinner that offers the winner a scholarship to a school of their choice for fifty-thousand dollars. The event to take place the date it all began. The costumes arrive – each fitting their actor/actress of choice, the suspects attend, and the madness begins. Each act is different, each reveal opens up more questions, and oh how the lies become shreds. I cannot say much without giving away spoilers, much to the frustration of myself for wanting to rave and likely your frustration of wanting more clues – more answers. But I will say you will not be disappointed by the end after the game’s finale, the closing act, and the conclusion that leaves you out of breath. I highly recommend This Lie Will Kill You with a 4.5/5 rating. Chelsea Pitcher is a karaoke-singing, ocean-worshipping Oregonian with a penchant for twisty mysteries. 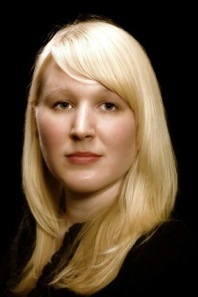 She is the author of THE S-WORD, THE LAST CHANGELING & THE LAST FAERIE QUEEN. 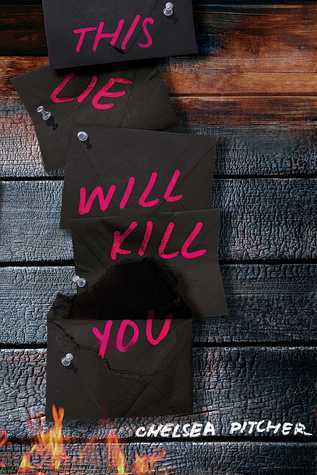 Watch for her new YA thriller, THIS LIE WILL KILL YOU, coming December 11, 2018 from S&S/McElderry!